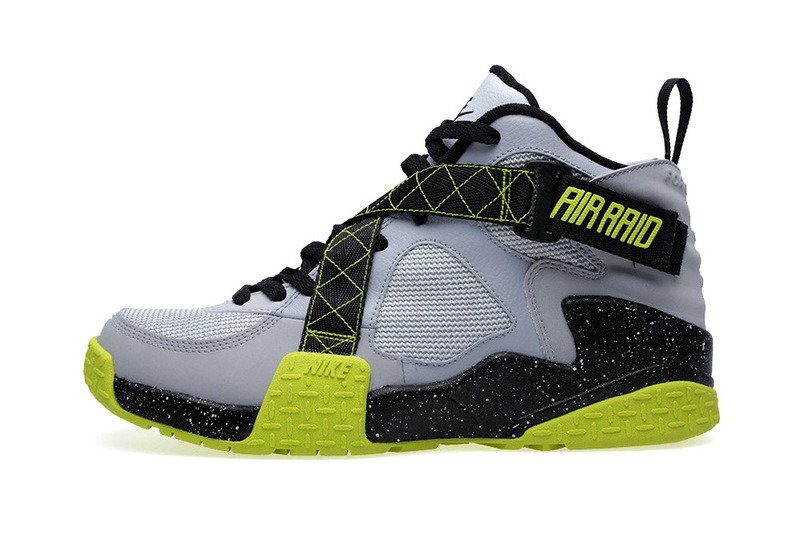 the Raid will also be returning with a few all-new looks, including this colorway in Wolf Grey and Venom Green. Along with the OG Air Raid we saw earlier today, the Nike outdoor hoops classic will also be returning in a few all-new looks, including this version in Wolf Grey and Venom Green. This fresh and modern take on the Raid features a Wolf Grey upper with black and Venom Green accents, as well as a speckled midsole for an extra clean touch. No official US release date has been announced yet, but pairs are up for pre-order now with a reported April release date from European retailers like End Clothing. What's yout take on this new look for the Air Raid?